IAPB’s history began in the mid-1970s when the late Sir John Wilson amongst others, began to draw the international community’s attention to the problem of global blindness. These efforts led to the setting up of the International Agency for the Prevention of Blindness (IAPB) on January 1, 1975, with Sir John Wilson as the Founder President. The founding members were the World Blind Union (WBU) and the International Council of Ophthalmology (ICO). IAPB was established as a coordinating, umbrella organisation to lead an international effort in mobilising resources for blindness prevention activities. IAPB aspired to link professional bodies, non-governmental organisations (NGOs), educational institutions and interested individuals with national programmes for the prevention of blindness. The first major achievement of IAPB was to promote the establishment of a WHO Prevention of Blindness and Visual Impairment team, with which it then entered into an official relationship. The 66th World Health Assembly unanimously approves ‘Universal Eye Health: A Global Action Plan 2014-2019‘. The plan, building upon and replacing previous VISION 2020 and 2009 – 2013 Action Plans, commits governments to a 25% reduction in the prevalence of avoidable visual impairment by the year 2019 from the baseline of 2010. The 9th General Assembly in Hyderabad attracts around 1600 registered delegates from 86 countries, doubling the numbers of previous assemblies. Prof. Srinath Reddy, President of the Public Health Foundation of India, gave the Sir John Wilson Lecture: discussing Non-Communicable Diseases (NCDs) and their impact on global health, Prof. Reddy highlighted the need for eye health to play a bigger role in the global NCDs framework. He exhorted the delegates to work towards positioning eye health in the wider health systems discourse, as vision loss is relevant to discussions on wider health implications of poverty, productivity, aging and a health systems framework that is more patient-centric. The Assembly culminates with the endorsement by acclamation of the ‘Hyderabad Declaration’, calling on international organisations, regional entities, governments, civil society and the private sector to work together to ensure that blindness and visual impairment are adequately and comprehensively addressed within an inclusive international development framework and as part of primary health care and health systems. Mr. Bob McMullan, former Minister of the Australian Government, is elected as the new IAPB President. IAPB holds Countdown to 2020 event in Geneva to celebrate the successes of VISION 2020 and call for even closer collaboration, partnership and investment in the fight for sight. IAPB 2010 report launched to mark the halfway point of the goals of VISION 2020. The report comes just before new WHO preliminary estimates released after publication indicate that visual impairment prevalence has been reduced from 314 million people in 2004, to 285.3 million today. Of these, 39.8 million people are estimated to be blind worldwide. The 2009-2013 Action Plan for the Prevention of Avoidable Blindness and Visual Impairment is endorsed by the 62nd World Health Assembly. The Eighth General Assembly of the IAPB is held in Buenos Aires, Argentina, with the theme, “Excellence and Equity in Eye Care”. The Assembly sees a participation of 800 participants from 60 countries; the largest attendance of any previous assembly. Prof Allen Foster gave the Sir John Wilson Oration, while Dr Zulma Ortiz delivered the Alan Johns Memorial Lecture. Prevention of Blindness included in WHO strategic plan and objectives. Global Initiative for the Elimination of Avoidable Blindness Action Plan 2006-2011 is released by the WHO. The Durban Declaration on Refractive Error announced at the first World Congress on Refractive Error and Service Development. The 59th World Health Assembly is presented with a report on the implementation of WHA resolution 56.26 and during its sessions, a new WHA resolution is adopted to further support prevention of avoidable blindness and visual impairment globally (WHA resolution 59.25 ‘Prevention of avoidable blindness and visual impairment’). The IAPB decides to play the role of an information clearinghouse, to help ensure rehabilitation and support to the victims of the Boxing Day/South East Asia Tsunami. Three new members join IAPB, taking its membership strength to 46. The Seventh General Assembly is held in collaboration with the World Health Organization in Dubai, UAE, from September 20 to 24, 2004. Nearly 600 delegates from some 75 countries participate in scientific presentations, courses and attend plenary sessions that reflected the theme “Partnership”. On all counts the Assembly is the most successful ever, both in terms of participation and the quality of presentations and deliberations. The Assembly is also the occasion for a change in the leadership of the IAPB, with new officers elected to lead the Agency over the next four years. The Assembly also ratifies a new constitution and significant changes in the structure of the Agency, which will make its functioning more streamlined and efficient, so as to achieve the goals of its primary programme, VISION 2020: The Right to Sight. An updated version of the Tool Kit, Version II, is circulated to all countries and organizations involved in Blindness Prevention. The WHO releases new data on the prevalence of global blindness on December 16th, 2004. According to the new figures, in 2002, 161 million people were visually impaired, of whom 124 million people had low vision and 37 million were blind. Cataract (47.8%) continues to be a major cause for global blindness, especially in the developing countries. Glaucoma (12.3%), Age-related Macular Degeneration (8.7%) and Diabetic Retinopathy (4.8%), along with Cataract account for close to 75% of all blindness in the world. Taking into account the changes in world population over the past 12 years, the extent of blindness and visual impairment in 2002 appears to be lower than was projected – 37 million instead of the projected 52 million. However, the WHO states that an increasing number of people are at risk of visual impairment as populations grow and people live longer, and hence there is no cause for complacency. In May 2003, the WHO Resolution on Elimination of Avoidable Blindness was adopted by the 56th World Health Assembly, which calls on all member states to commit themselves to VISION 2020 plans by 2005. Further, member states are to establish national coordinating committees, which are to implement the national plans by 2007. The resolution also supports the mobilization of resources to achieve a successful program. In response to the acceptance of the Resolution, the VISION 2020 Tool Kit is developed to provide guidance and support for Governments and health professionals at all stages of development in 2003. On the occasion of World Sight Day, Pope John Paul II officially recognises “VISION 2020: The Right to Sight” and blessed the fight against blindness around the world. Dr Gro Harlem Brundtland, Director General of the World Health Organization, launches ‘The State of World Blindness’ report on World Sight Day in Geneva. The report looks at issues surrounding blindness, cost of global blindness and highlight the achievements and future goals of VISION 2020. The first Joint Meeting of the VISION 2020 Task Force and IAPB Executive Committee, together with the WHO PBD, chaired by the President of IAPB. 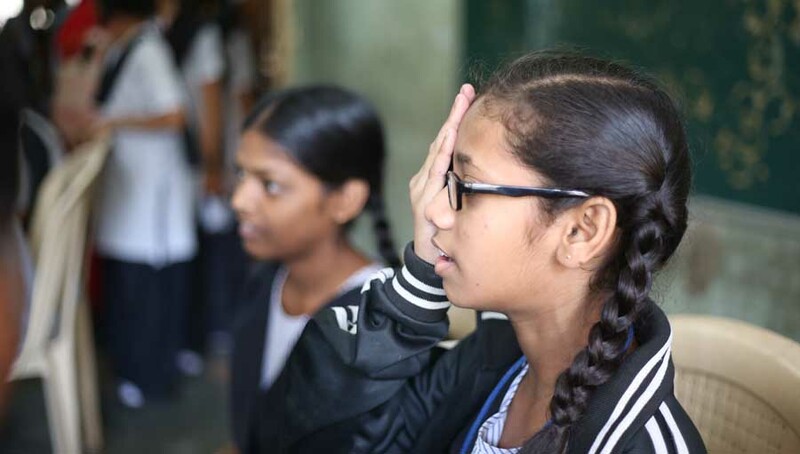 Lions Club International Foundation integrates “World Sight Day” – an event launched as a part of their Sight First campaign – with VISION 2020. The task Force is also integrated into the IAPB structure in the last quarter of the year. From then on, a joint meeting of the Executive Committee and the Task Force is conducted every year. The President of IAPB chairs these meetings. VISION 2020:The Right to Sight – the Global Initiative for the Elimination of Avoidable Blindness by the year 2020 was formally launched from W.H.O. Headquarters, Geneva on February 18th, 1999. The Fifth Assembly was held in Berlin, Germany from May 8 – 13. The three main issues of primary health care were addressed by the theme of the meeting “Towards Affordable, Accessible, Appropriate Eye Care”. Various aspects of affordable, accessible and appropriate eye care were discussed in five plenary sessions. The workshop topics included: Assessment of Vision Function and Quality of Life as perceived by the Cataract Patient, Trachoma Control, Ophthalmic Medical Personnel in Prevention of Blindnes s programmes – their training and use and Ocular leprosy. A Regional Advisor for Prevention of Blindness is established in the WHO Regional Office for the Americas. Co-funding for this post is provided by Sight Savers and Organizacion Nacional de Ciegos de Espana. Similarly, the WHO Prevention of Blindness headquarters staff are strengthened by a post supported by the International Association of Lions Clubs. Ongoing evaluation of the very successful vector control scheme of the Onchocerciasis Control Program, which has been applied over more than 1 million square kilometres. The disease and its eye complications are now about to disappear in the program area. In addition, several IAPB member organizations are increasinglytr involved in Ivermectin distribution programs in the extension program areas. A meeting on strategies for Ivermectin distribution through primary health-care systems is held at WHO headquarters in Geneva, with support from the Consultative Group of NGOs to the WHO Program for the Prevention of Blindness. The Second Leeds Castle International Conference on the Prevention of Disability proposes an agenda of action against avoidable disability using the Prevention of Blindness program as its model. and is attended by more than 400 ophthalmologists, public health workers, and managers. National prevention of blindness committees from 60 countries are represented by 113 people at the Business Meeting. The theme “Sustainable Strategies – Agenda for the 1990s is discussed at six plenary sessions and four workshops by 86 designated speakers and panelists, plus scores of active participants. The contingent from Francophone Africa is provided with simultaneous translation at all plenary sessions, and several workshops are held in French. During the five-day meeting, the following subjects are discussed at the plenary sessions: national programs in Africa, regional progress reports, sustainable manpower development for blindness prevention, new developments in the control of major causes of blindness, and sustainable national program development. The workshop topics include: manpower development, delivery of specific eye-care services, major challenges and priorities for the delivery of eye-care services, and essential characteristics of a model self-sustaining prevention of blindness program, including partners such as private industry, NGOs, and WHO. Mr.Alan W.Johns (United Kingdom) is elected President. Christoffel-Blindenmission and Sight Savers co-fund a landmark WHO meeting in London on childhood blindness. IAPB hosts a four-day series of conferences in Bethesda, Maryland, at which 70 people from more than 20 countries participate. IAPB commemorates the tenth anniversary of the WHO Prevention of Blindness Program and with major NGOs holds a symposium on the control of cataract blindness. These meetings provide the participants an opportunity to discuss accomplishments in the prevention of blindness field and to examine the delivery of eye care relevant to the alleviation of cataract blindness. They also present a valuable opportunity to discuss program and organizational issues and enable a rich exchange of ideas on a variety of topics, including program strategies, training and educational modalities,evaluation methodologies, cost-recovery mechanisms for eye-care programs, and applications of appropriate technologies. 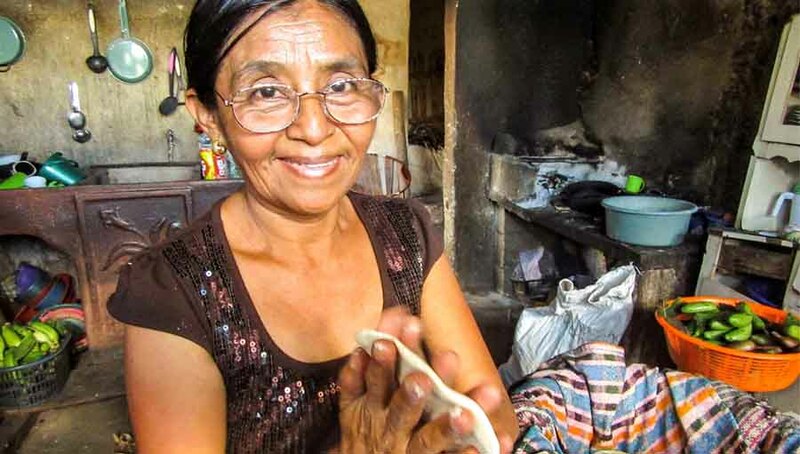 WHO Task Force completes a second comprehensive compilation and analysis of blindness data, and estimates that there are between 27 and 35 million blind people in the world. The Consultative Group of NGOs to the WHO Program for the Prevention of Blindness is established to provide a forum for closer consultation among organizations interested in prevention of blindness. Meetings are to take place on years when the Program Advisory Group does not meet. Meetings of the Consultative Group also provide an opportunity for communicating to interested NGOs particular projects or needs in selected countries, where the WHO Program does not have the required resources to intervene, but where NGOs have good working channels. Mr.Alan W. Johns is elected first Chairman of the Group. The Third General Assembly of the IAPB is held in New Delhi, India. This Assembly is attended by over 400 ophthalmologists, eye-care professionals, public health specialists, managers, and others engaged in the battle against unnecessary blindness. Its theme “A Decade of Progress” coincides with the completion of 10 years of IAPB service. Participants discuss possible means of strengthening national blindness prevention committees and ways of improving communication and cooperation among national committees and NGOs. Four workshops are held and four symposia examine the operation and delivery of eye-care services, communication for eye-health care, the magnitude of blindness, and community ophthalmology. A course in research methodology in public health and clinical ophthalmology is presented. Dr.Kupfer is re-elected President. Helen Keller International announces a global attack on cataracts. The International Eye Foundation becomes the first international eye-care NCO to be accepted into official relations with WHO. Organisation pour la Prevention de la Cecite (OPC) is founded in France. The Second General Assembly of the IAPB is held in Bethesda. This meeting of 300 people representing more than 50 countries is by far the largest international gathering of experts on blindness prevention ever convened to that time. The theme “New Horizons in Sight” reflects the fact that IAPB’s earliest goal – the creation of national committees for the prevention of blindness – had been almost fully achieved and that many of these committees had been successful in initiating national sight-conservation programs. Participants at this Assembly look for new horizons by discussing several ongoing or recently completed blindness prevention projects, assessing their results, and establishing the ones that are most successful as models for future efforts. This Assembly also conveys the message that well-designed blindness prevention programs – particularly those that draw exclusively on local resources – can be highly effective even when judged by economic as well as medical criteria. Dr.Carl Kupfer (USA) is elected President. A Regional Advisor for Prevention of Blindness is established in the WHO Regional Office for South-East Asia in New Delhi. This full-time position is co-funded by the Royal Commonwealth Society for the Blind and the Asian Foundation for the Blind. Seva Service Society is founded in Canada to encourage broader participation by Canadian citizens in Seva’s blindness prevention and other activities. An international conference at Leeds Castle, England, formulates global strategies for the prevention of disability leading to the formulation by three United Nations agencies of the International Initiative Against Avoidable Disablement, now known as the IMPACT program. First nationwide probability sample-based survey of blindness is carried out in Nepal with the cooperation of WHO, the government of the Netherlands, Seva Foundation, the Norwegian Agency for International Development, and other participating agencies. Results from the survey give the first indication that cataract accounts for two thirds of Nepal’s blindness. This survey forms the basis for the first five-year plan for the Nepal Blindness Program. Second PAG meets in Ouagadougou and adopts recommendations of WHO Task Force meeting in Bethesda. A network of 10 WHO Collaborating Centers for research and training in the prevention of blindness are identified over the first two years of the Program and agreements for designation of those centers are elaborated. Another four centers have subsequently been included in this network. WHO Director-General establishes a WHO Program Advisory Group (PAG) on the prevention of blindness. Subsequent PAG meetings successfully evaluate progress made in the Program and coordinate work with the collaborating NGOs. Foresight (Australian Overseas Aid and Prevention of Blindness, Ltd.) is founded in Australia. WHO Task Force meets in Bethesda, Maryland. WHO Programme for the Prevention of Blindness is officially established in Geneva. The first advisory meeting on program development initiates a number of task-force meetings on specific issues, including data on blindness, manpower development, economics of blindness prevention, primary eye care, and national program development. WHO Task Force estimates that (according to which definition of blindness is adopted) there are probably 28 to 42 million blind people in the world. Seva Foundation is founded in the United States to apply lessons learned through smallpox eradication to alleviate suffering due to other public health problems. Blindness prevention in Nepal is adopted as primary focus of program activity. The First General Assembly of the IAPB is held in Oxford, United Kingdom, where 170 representatives from 44 nations convene for a three-day conference. Because it is already well known that mankind has the ability to significantly curtail the majority of the world’s blinding eye diseases and prevent at least half of all blindness through well-planned sight conservation programs using available resources and medical knowledge, the theme of the Assembly is “Mobilizing Resources.” Representatives of the world’s blind population, organizations concerned with their welfare, government officials, ophthalmologists, and experts in vision science and other scientific disciplines evaluate the state of knowledge in each major area of visual disability and blindness and examine the possibilities for treatment and prevention. Prospects for greatly increased blindness prevention activities are studied in relation to regional needs, thus enabling the participants to return to their homes resolved to stimulate governmental and inter-governmental action. WHO inter-regional meeting in Baghdad stimulates worldwide interest in the control of major causes of blindness. At this meeting are 27 participants from 21 countries, 27 observers, 12 representatives of NGOs (most of which are affiliated with the IAPB), 7 WHO temporary advisors, and 7 WHO staff members. This largest gathering of experts on the prevention of blindness ever assembled up to that time establishes strategies for manpower requirements and the development of eye-health services. 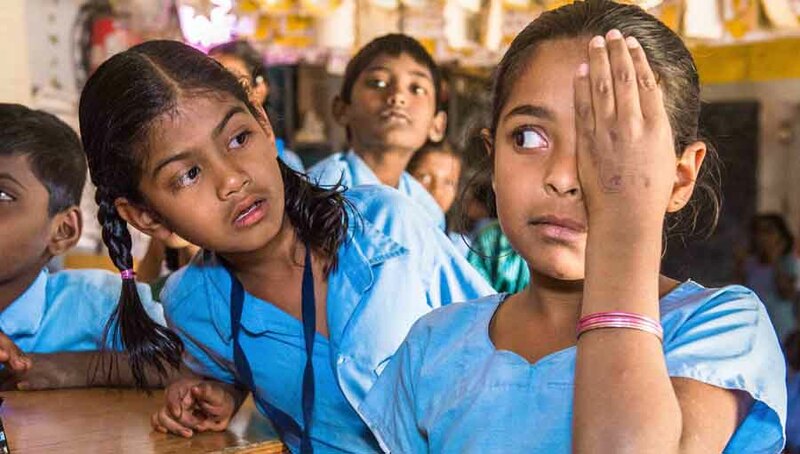 The National Programme for the Control of Blindness is launched in India – the first-ever comprehensive nationwide program for the prevention and control of blindness, and a forerunner of similar developments around the world. A resolution is passed by the World Health Assembly requesting the Director General to enlist support of member governments in developing resources to prevent blindness and in setting up an advisory group. The World Health Assembly adopts a resolution requesting the Director-General to take action against the problem of blindness and to establish initiatives against trachoma, xerophthalmia, cataract, onchocerciasis, ocular trauma, and glaucoma. This resolution was to be the basis for the establishment of the WHO Program for the Prevention of Blindness in 1978. With the encouragement of WHO, the Association is transformed into the International Agency for the Prevention of Blindness(IAPB) on January 1. The IAPB’s charge is to lead a cooperative universal offensive to reduce drastically the world’s avoidable blindness by controlling major blinding diseases. The first priority of IAPB is the establishment of national prevention of blindness committees. Since its founding, the IAPB as a consortium of non-governmental organizations (NGOs) and national committees within more than 60 countries has directed efforts toward mobilizing resources, increasing public awareness, supporting sight conservation programs, and implementing WHO health-care strategies aimed at blinding diseases. The Onchocerciasis (River Blindness) Control Program (OCP) is launched in originally 7 (and later 11) West African countries with WHO as executive agency and support from the Food and Agriculture Organization, the United Nations Development Program, the World Bank, and a number of donor countries. A survey on nutritional blindness in Haiti determines that xerophthalmia is the leading cause of blindness in Haitian children. At ICO meeting in Paris, changes to broaden the base of the Association are considered. WHO indicates the need for a single international agency uniting the many groups working in the prevention of blindness field. 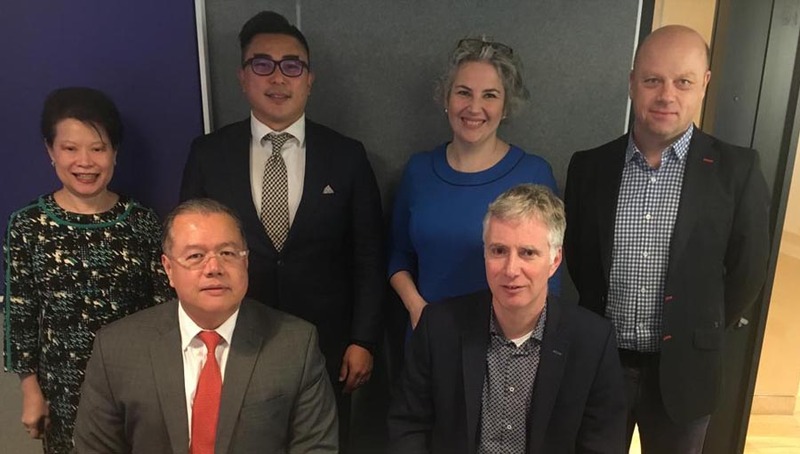 After consultations between leaders of the Association and the WCWB, a plan to restructure the organization is developed to make it more effective in global blindness prevention. Sir John Wilson (United Kingdom) is elected President and an executive committee is authorized to amend the Association’s constitution. The proposed changes are subsequently adopted. Following a request from the World Health Assembly, WHO carries out a systematic inventory of available data on blindness and reports that there are between 10 and 15 million blind people in the world. A Study Group on the Prevention of Blindness is convened to assess the magnitude of the problem and elaborate upon the definitions of visual impairment and blindness (that are used internationally to this day). Vitamin A capsule distribution programs begin with launching of initiatives in Indonesia and E1-Salvador. Prof. Michaelson arranges a seminar on blindness prevention in Jerusalem. The Executive Committee of the Association proposes expanding its General Assembly at the forthcoming International Congress of Ophthalmology to a two-day Conference on Blindness and Visual Impairment. The American Foundation for Overseas Blind (AFOB) provides assistance to 103 countries, and teachers from 15 nations attend orientation and mobility courses for educators. With a new emphasis on blindness prevention, AFOB begins a worldwide campaign to prevent nutritional blindness. Although reporting of results is confused by different definitions of blindness and its causes, it is increasingly clear that besides trachoma there are several important blinding diseases commonly found in developing countries. First meeting of Joint Committee in Geneva. Adoption of an international system for classifying causes of blindness. This system is recommended for use worldwide by the Association and is subsequently published in the Journal of Social Ophthalmology and is widely distributed. Operation Eyesight Universal is founded in Canada. As Director of the Royal Commonwealth Society for the Blind and chairman of the Committee for the Prevention of Blindness of the World Council for the Welfare of the Blind (WCWB), Sir John Wilson proposes a fusion between the Committee and the Association for the Prevention of Blindness. Although these organizations remain independent, a Joint Committee is formed. The International Eye Foundation is founded in the United States by John Harry King, Jr., M.D., whose primary purpose is teaching with a mandate of the prevention and cure of blindness worldwide. Christoffel-Blindenmission’s services are extended to include ophthalmological work, particularly curing and preventing blindness. The Association begins scheduling its General Assemblies to coincide with meetings of the newly formed European Congress of Ophthalmology. Sir Stuart Duke-Elder and Sir John Wilson propose cooperation between ophthalmologists and blind welfare workers. The Association agrees to work with WHO on a World Health Day for the prevention of blindness, scheduled for April 7, 1962. From 1952 through 1956 two teams, one ophthalmic and one entomological, appointed by the Royal Commonwealth Society for the Blind, survey the extent and consequences of onchocerciasis in West Africa and propose a control program. British Empire Society for the Blind (subsequently called the Royal Commonwealth Society for the Blind) is founded in the United Kingdom and begins blindness surveys in Nigeria, Ghana, Sierra Leone, and in East and Central Africa. These surveys, which demonstrate a much greater prevalence than had been estimated, lead to a growing recognition of the magnitude of the problem and the need for making prevention a priority. World Health Organization (WHO) is founded, but at first there are no specific activities in the field of blindness prevention. Trachoma is the first blinding disease to which WHO directs its attention; WHO initiates the gradual development of surveillance and control methodologies and research and field studies from the early 1950s. Mass treatment programs are subsequently successful in providing topical treatment with tetracycline, health education, and surgical correction of trichiasis. Some of these field research studies are developed into national trachoma control programs in many developing countries in the 1950s and are the antecedents of today’s comprehensive national programmes for the prevention of blindness. British Government’s Colonial Office White Paper addresses the general impression that there are an estimated 5 million blind people in the world, of whom 2 million live in India. President Herbert Hoover invites 50 countries to participate in the World Conference on Work for the Blind, which is held in 1931 in Washington, D.C.
Twenty-eight nations are represented at an assembly at The Hague where ophthalmologists from Europe and the United States and the League des Societies de la Croix Rouge found the International Association for the Prevention of Blindness. Prof. de Lapersonne (France) and Dr.Park Lewis (USA) are elected President and Vice President. During its early years, the Association’s General Assembly is held in conjunction with the International Congress of Ophthalmology (ICO), generally with a half day devoted to the prevention of blindness. The Association introduces the Journal of Social Ophthalmology, in French and English; 38 editions of this Journal are published until it is discontinued in 1967. The International Organization Against Trachoma is founded in France. The Permanent Blind Relief War Fund for Soldiers and Sailors of the Allies, Inc. is founded in Paris to aid blind Belgian soldiers and British war blind and to educate blinded French veterans. It evolves into the American Braille Press for War and Civilian Blind, Inc. (which produced 19 million pages of braille by 1927); the American Foundation for Overseas Blind, Inc.; and finally in 1977 Helen Keller International. Christoffel-Blindenmission (CBM) is founded in Germany to provide education and rehabilitation of blind and other disabled people. The National Society to Prevent Blindness (NSPB) is founded in the United States. London Society for the Prevention of Blindness is established and begins focusing attention on the causes and prevention of blindness at an International Congress of Hygiene in Geneva. Interest in preventing blindness continues sporadically over the next several decades.